If you have ever witnessed the damage done by hurricanes that result in severe flooding to regional roads and wash outs at stream crossings, you may long for a crystal ball that would help prevent future destructive scenarios. However, the University of Massachusetts and their collaborators have a much better plan: assess and develop protocols that determine which roadway stream crossings are most vulnerable to climate change conditions well in advance of a disaster. Oh, and place culverts at the top of that list. 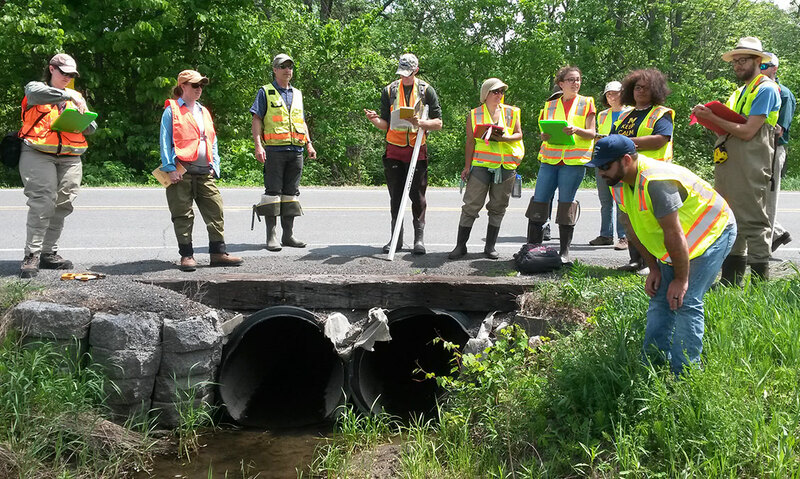 A unique partnership of federal and state agencies, along with nonprofit conservation groups recently launched a new, uniform protocol for citizen scientist volunteers and professional fish and wildlife managers to use in assessing the state of stream-crossing culverts in 13 Northeast states. 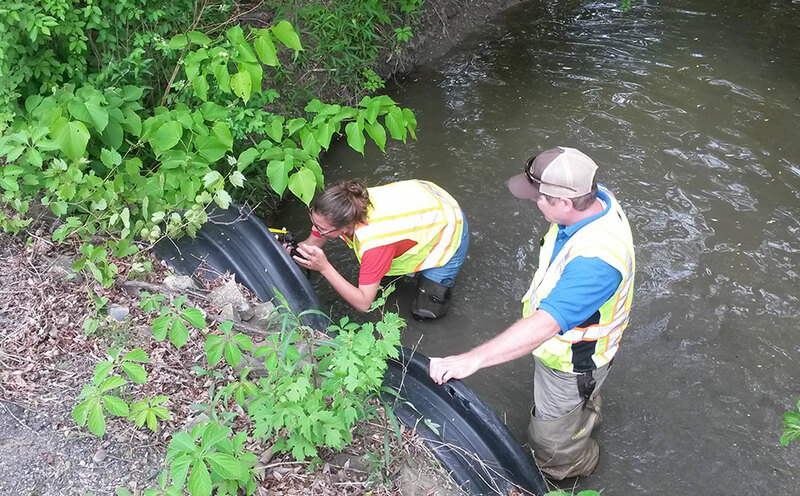 The assessments will help identify culverts, for instance, that block turtles, trout, salamanders and other wildlife from moving up and down streams. 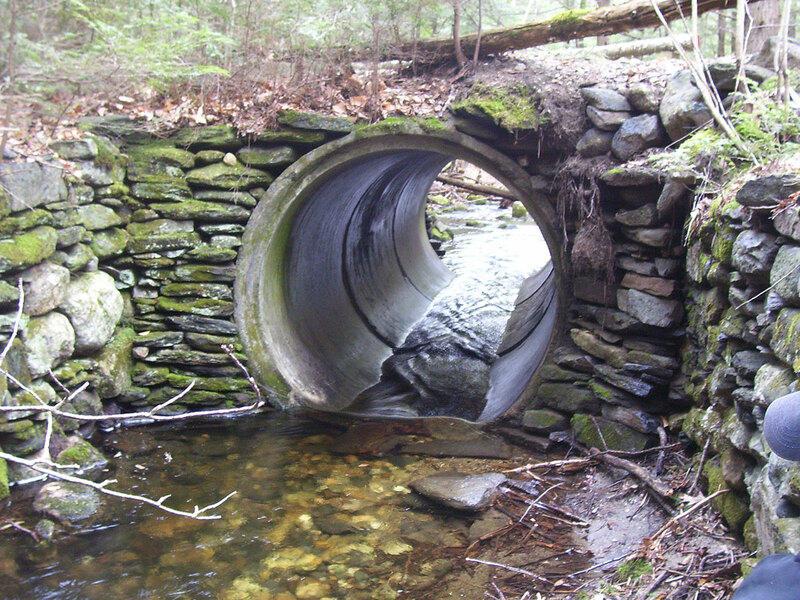 Undersized or poorly designed crossings fragment streams and habitat and exacerbate flooding, but thoughtfully designed, well-placed culverts and bridge replacements can increase habitat and stream connectivity for fish and wildlife, as well as help reduce flood damage to roads. In one of the first such multi-state collaborations in the nation, a core team with members from the U.S. Fish and Wildlife Service, The Nature Conservancy, Vermont Agency of Natural Resources, U.S. Forest Service and the University of Massachusetts Amherst introduced the North Atlantic Aquatic Connectivity Collaborative (NAACC), thanks to shared support of about $475,000 from the North Atlantic Landscape Conservation Cooperative and the Disaster Relief Appropriations Act of 2013 through the U.S. Department of Interior. 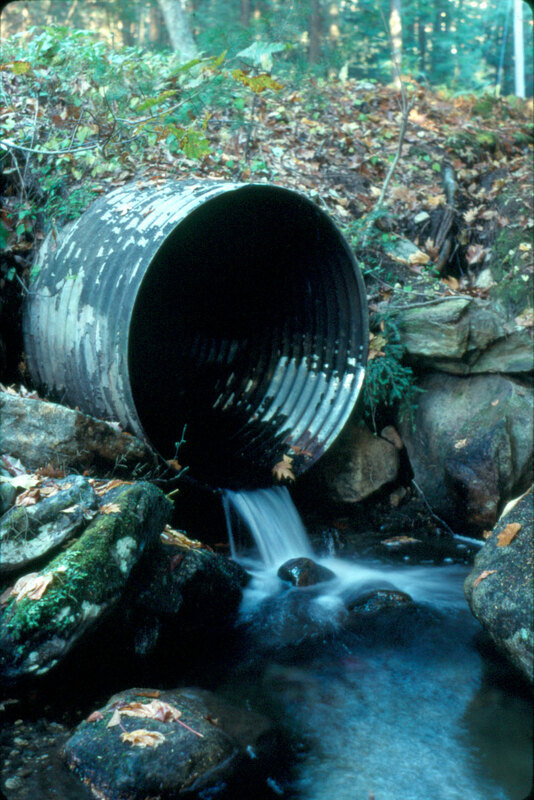 The new network will standardize training, foster uniform data collection methods and forms, and promote information-sharing in a common database for tens of thousands of culverts and stream crossings in Virginia, West Virginia, Pennsylvania, New Jersey, Delaware, Maryland, New York and the six New England states. Each crossing will be scored on its ability to allow fish and other wildlife to pass upstream. Planners and others could then use the online database and maps to identify high priority bridges and culverts for upgrade and replacement. In Massachusetts, Jackson estimates that just 15 percent of the 30,000 to 50,000 stream-crossing structures have been assessed to date, but he hopes that will improve as NAACC swings into action. He notes that hundreds of volunteer citizen scientists and professional managers have been collecting information on river and stream continuity for more than 15 years, but until now those states had their own reporting and coding system, making it hard to compare needs and prioritize what to remove or repair first. “It’s really a collaborative effort, we are just bringing the experts together and providing a home for the database to live,” he adds.